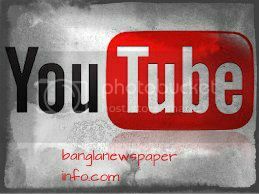 You Tube is one of the best video sharing website in the world .But recent times this website has block in few Muslim countries due post anti-Muslim Film video clips.As result ,any blogger and Internet user can not access many site such as you tube.Some people also face redirection issues .Please follow our guideline how can access safely in You tube and other block site. Many people are using proxy website to log into and access their website .A proxy website look like this .You send them your login information ,and they log into the site for you ,and return the date back you Your all sensitive data is being screened and store for future usage.This proses is very risky because you could be victim any online fraud such as get hacked. Solution is very easy.Ultra surf.You can access block website by using this tool.Ultra surf is a proxy -based tool but lucky it doed not store and send your information to third parties. It makes use of dynamic Ip and hide your real ip from website .How to use this ultra-surf?.Very simple by visiting their website and download .A zip file will be downloaded to your website .Extract it and see a file names ,u1203.exe, .You need simply run it by opening the .exe file. It will make all the blocked websites, including YouTube, run normally, but a little bit slow.